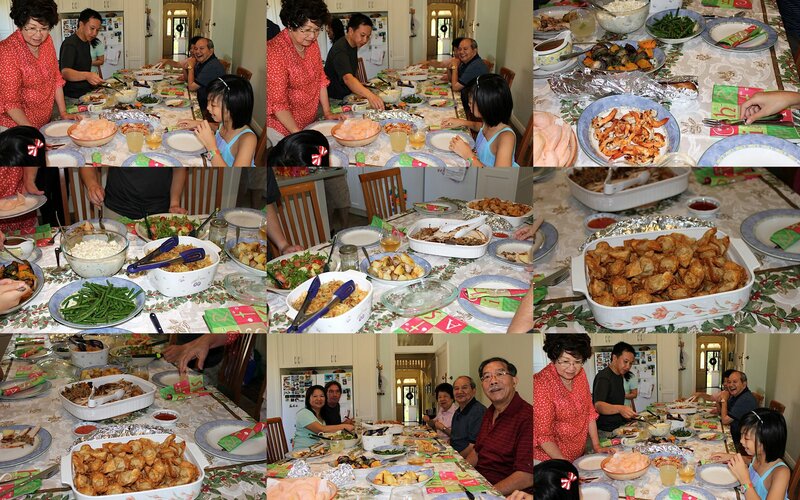 Charmaine, Chinese food is still very common among the Chinese families there? ChinNee: Chinese food is very popular here with Chinese families. There are many Chinese restaurants serving cuisines from Shanghai, Beijing, HK, Malaysia, Spore, Taiwanese, yum cha (dim sum) etc.. Will not starve for Chinese food here. You must can visit. Elaine: hubby and I did most of the cooking. Time for my Mum to have a break. My SIL and her partner also helped as well which is a first for them.